"We loved the Island!! Local tour guide who knows and loves the Island"
"Small group, beautiful campsite and all camping equipment provided"
"We enjoyed the walk in Rainforest and see the falls"
"The fun drive across the island and the wildlife were great"
"4WD on the beach and seeing whales was wonderful. I got the best photos at Champagne pools!" "Swimming in lakes was the best!" "The tour was simply great! Thanks a bunch"
"The guide was very knowledgeable when asked questions. Loved the rainforest and driving along the beach. Overall, a great day..."
"The dinner and campfire were great and really enjoyed Lake Wabby. The guides were great fun and really nice sized group of people on the tour"
"Loved the waterfall walks, swimming and Best of All lookout. Great guides who could say a lot about the plants & animals." "The unexpected places that we visited and the interesting commentary. The whole trip was fun and a worthwhile experience." "The guides were great, always making everyone laugh and keeping the group happy. The guides organised every tour so we were the only people there. It was brilliant." "Jeff went out of his way to make us feel welcome and nothing was too much trouble. Loved how we were the first ones of the day to get to Lake Wabby before the crowds rolled in." "Our guides made this trip extra special. We are so we had them as our guides. Jeff is very knowledgable about the island, history and wildlife. We felt very safe with them and they really made the trip. It was perfect"
"The best bits were Lake McKenzie, the BBQ and campfire in the evening was great." "Walking in the rainforest and Lake McKenzie was highlights. Really enjoyed it! Despite the weather, we had a great time. Drink and marshmallows around the campfire was ace!" "We managed to see so much in 2 days - a short space of time - Lake McKenzie was my favourite part. A very good tour. Fantastic tour guide." "The guide was very helpful and informative. The food was great quality"
"All of it was excellent! Loved driving on the beach, exploring the rainforest and swimming in Lake McKenzie"
"Our guide was an excellent driver, very skillful. Was very informative and made sure everyone was well looked after. Very impressed with the knowledge on our hikes. Especially the rainforest walk. Great tour!" "The entire day was most enjoyable. The walk along Wangoolba Creek and Pile Valley was excellent.... I thoroughly enjoyed the day. It exceeded my expectations and I would recommend it to my friends." "Really, thank you for this wonderful day. I have rarely seen such an enthusiastic, funny and full of knowledge tour guide. Thank You!" 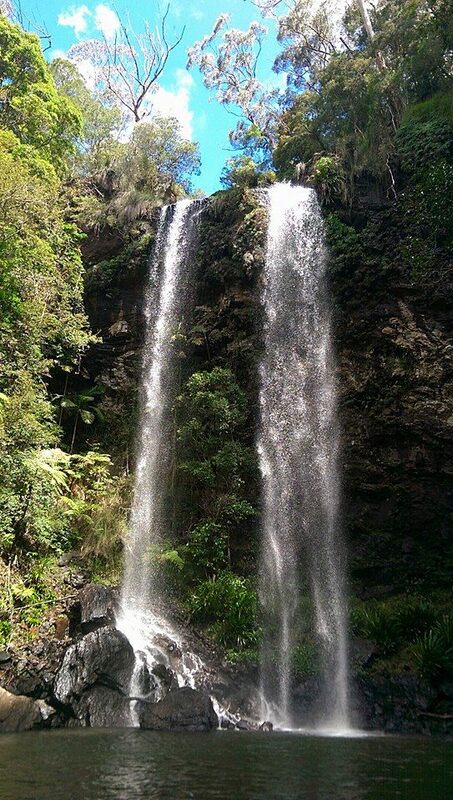 "Loved the 4km walk and waterfalls. The Best of All Lookout too!" "I enjoyed great scenery and our knowledgable guide." "Excellent bushwalk with our tourguide Clayton. He told us a lot about the jungle. Its a nice and easy bushwalk with a lot of awesome landscape view from the lookout. Totally worth the visit. Thanks for the tour Clayton." "Walking through the rain forest with a lot of explanations"
"The german selfies, with rainforest and wildlife, many thanks for that"
"Just stay the way you are and keep doing what your doing"